Why was Garmin engineer Srinivas Kuchibhotla, 32, shot dead and his colleague Alok Madasani, also 32, injured in shooting at a bar in Olathe, Kansas? Why are Indian-Americans being targeted by white nationalists after President Donald Trump's victory? Why have hate crimes against ethnic and religious minorities in America jumped in the last few months? Is Trump's election campaign rhetoric and his subsequent silence on hate crimes contributing to it? Who is Trump's new national security advisor General H.R. McMaster? Why are his views of Muslims and Islam so completely different from his predecessor Gen Michael Flynn? Why does he oppose the use of the phrase "radical Islamic terrorism" by Trump? Can McMaster succeed in shaping Trump's Islamophobic policies heavily influenced by White House strategist Steve Bannon? What is Pakistan's anti-terror military operation Radd-ul-Fasaad launched by General Javed Bajwa after the latest wave of terror attacks? How is it different from ex-COAS General Raheel Sharif's prior anti-terror operation named Zarb-e-Azb? Is the inclusion of the province of Punjab in Radd-ul-Fassad the only difference between the two? Will Radd-ul-Fassad succeed in ending terror without a simultaneous long-term commitment to change the national narrative? I am shocked by the murder of Srinivas Kuchibhotla in Kansas, and want to share what I learned reporting on a similar crime in Texas. Like the Kansas attacker, Mark Stroman of Dallas thought he was targeting Middle Easterners, and thought he was protecting America. President Donald Trump's administration has quickly leapt to say his talk and actions have nothing to do with this crime. I would like to explain why the president is dead wrong on this one. He has everything to do with this, and I can explain. What I learned reporting on the Stroman spree, which occurred right after 9/11, is how such an act is dependent on circles of enablement. Frankly, Stroman wasn't intellectually sophisticated enough to channel his anger in this direction on his own. He needed help. When I reviewed his letters, prison writings and blog posts, what amazed me was how he had stolen so much language from his social betters. It mattered greatly what politicians and pundits said, because it gave his inchoate drifter emotions a purpose and a narrative. He heard talk of "enemy combatants" on the news. He was inspired by that to call himself an "allied combatant". So many of his phrases were borrowed from Fox News. He was a man without purpose all his life. This borrowed language gave him purpose. These stories are so often of drifting lives electrified by a sense of having to save one's country. That call to save comes from on high. Here's the thing. Stroman had no explicit support in 2001 from the highest levels of US power. But the Kansas killer did. From president of the United States. George W Bush explicitly praised Islam and supported Muslims. Trump has explicitly degraded them and called them a problem. People hear that. Trump makes the statements and goes back to his chefs and jet. But there are aimless Americans who take the words as a summons to greatness. Part of being a leader is understanding how what you say will be used, how it will refract into other lives. That explains Bush's remarks. Based on my reporting on Stroman, I can say that Trump has supplied more permission than Stroman ever received back in 2001. Trump not only identifies and exaggerates this threat to America. He also keeps talking down our institutional capacity to respond to it. Please understand, Mr President, that this too gives permission, by dog-whistling to drifters that they might do what the government can't. Stroman was deeply motivated by the idea that the government wasn't going to be tough after 9/11. So he had to be. India reacted with equanimity to Donald Trump’s election as US president. Though astonished, New Delhi’s establishment was comforted that India’s relations with Washington have improved steadily — barring a few hiccups — for two decades, through both Republican and Democratic administrations. As a candidate, Mr Trump had also actively courted Indian-American voters, most memorably at a Bollywood-themed political rally, where he declared “I love Hindu” (sic) and promised the US and India would be “best friends” under his leadership. But Indian equanimity has morphed into trepidation since last week’s shooting of two Indian computer engineers at a Kansas bar allegedly by a 51-year-old US navy veteran. The suspect reportedly told the men “get out of my country” before he fired, killing one, Srinivas Kuchibhotla, 32. Sean Spicer, the White House press secretary, has rejected any link between the attack on the Indian engineers — both employees of Garmin, the Kansas-based GPS maker — with Mr Trump’s virulent anti-immigrant rhetoric, calling such suggestions “absurd”. The Indian media has echoed her call. “President Donald Trump and his political allies, who fanned the red-hot coals of white nationalist tendencies through the course of their election campaign, must answer questions raised by this murder,” the Indian Express newspaper wrote in an editorial on Monday. Underlying the furore is a deeper angst over the India-US relationship, which could be headed for a rough patch — despite the bonhomie of Mr Trump’s initial phone calls with Narendra Modi, India’s prime minister. Over the past 15 years or so, Washington’s approach to New Delhi was driven by the belief that facilitating India’s economic rise — and military modernisation — would yield long-term benefits to the US, even without immediate pay-offs. But Mr Trump has made clear he wants America to get “better deals” in its relations with allies and other friendly countries, and bring American jobs back from overseas, which could hit the strategic ties with India. For many Indians, especially young engineers, the most emotive question is whether they will still be welcomed, wanted and safe in the US. Mr Trump’s hostility to Iran is also awkward for India, which has cordial ties with Tehran. New Delhi is also anxiously awaiting clarity on Mr Trump’s policies towards its neighbours, Pakistan and Afghanistan. "Many Hindus voted for trump for the hate of Muslims. Hindus should have known that hate is a boomerang"
He won because whites voted for him big time. Do they hate muslims too? If yes, then shouldn't muslims investigate why everyone hates them. This sad incident happened because the killer thought that Srinivas as a ME muslim and not because he was a Hindu. Geez, Pakis are desperate to prove that Hindus are as much disliked as muslims are. He he he. What is interesting is that during Obama's time, gun related deaths were huge and Riaz use to frequently remind the world that gun deaths in USA was many times more than jihadis killing. Not once did he blame Obama. Anon: "http://www.thehindu.com/news/international/nyc-subway-shove-woman-gets-24-years-in-jail-for-pushing-indian-to-death/article7230596.ece Was Obama responsible ? " No, Obama is not responsible because he never engaged in anti-immigrant xenophobic rhetoric. Trump owes his election success to such a venomous campaign. An incident of possible hate crime has come to light in a US town where a house of an Indian man was trashed with eggs, dog poop and hate messages. The Federal Bureau of Investigation (FBI) is investigating the case which took place in Southern Colorado on February 6. Authorities believe it was the work of group of people because of the all the damage. According to reports in Denver media, hateful messages and racial slurs were sprawled all over the home of the Indian man. The homeowner said that around 50 papers were stuck everywhere on his door, window and car and added that the unidentified group had thrown at least like 40 eggs on his house. He further said that racial slur like 'You brown or Indian shouldn't be here,' was also written outside the house. The homeowner says despite the hate, he was reminded of compassion. He says his neighbours came together and completely cleaned up the house for him. 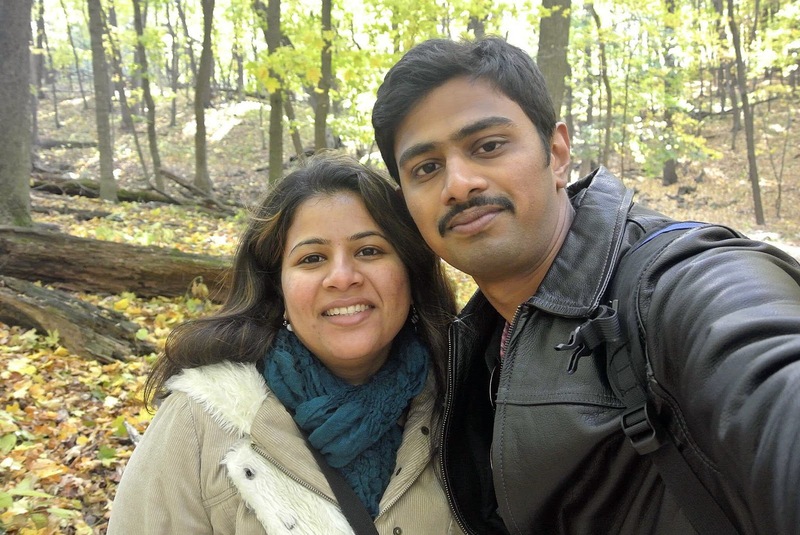 Earlier, an Indian engineer has been shot to dead in Kansas, U.S. in an alleged racial attack, after the gunman was heard shouting "get out of my country"
Huh! Are you trying to put words in the horses mouth? I am Hindu and I voted trump for his pro business policies. I know many such people. Hilarious that Riaz is concerned about Indians while the country where he was born is indulging in drip-drip genocide. Sri: " Hilarious that Riaz is concerned about Indians while the country where he was born is indulging in drip-drip genocide." "Muslim historian Firishta [full name Muhammad Qasim Hindu Shah, born in 1560 and died in 1620], the author of the Tarikh-i Firishta and the Gulshan-i Ibrahim, was the first to give an idea to the medieval bloodbath that was India during Muslim rule, when he declared that over 400 million Hindus got slaughtered during Muslim invasion and occupation of India. Survivors got enslaved and castrated. India’s population is said to have been around 600 million at the time of Muslim invasion. By the mid 1500’s the Hindu population was 200 million." Sri: "Will Durrant mentions 80 million Hindus were killed by muslim invaders....when he declared that over 400 million Hindus got slaughtered during Muslim invasion and occupation of India. " The idea that medieval Muslim rulers wreaked havoc on Indian culture and society – deliberately and due to religious bigotry – is a ubiquitous notion in 21st century India. Few people seem to realise that the historical basis for such claims is shaky to non-existent. Fewer openly recognise the threat that such a misreading of the past poses for modern India. Aurangzeb, the sixth Mughal Emperor (r. 1658-1707), is perhaps the most despised of India’s medieval Muslim rulers. People cite various alleged “facts” about Aurangzeb’s reign to support their contemporary condemnation, few of which are true. For instance, contrary to widespread belief, Aurangzeb did not destroy thousands of Hindu temples. He did not perpetrate anything approximating a genocide of Hindus. He did not instigate a large-scale conversion program that offered millions of Hindu the choice of Islam or the sword. In short, Aurangzeb was not the Hindu-hating, Islamist tyrant that many today imagine him to have been. And yet the myth of malevolent Aurangzeb is seemingly irresistible and has captured politicians, everyday people, and even scholars in its net. The damage that this idea has done is significant. It is time to break this mythologized caricature of the past wide open and lay bare the modern biases, politics, and interests that have fuelled such a misguided interpretation of India’s Islamic history. Mr. Riaz, you should have shown little patience in understanding Mr. Trump. Below links will help you in understanding Mr. Trump. One thing is sure, he is going to very hard or illegal immigrants and Terrorists. Singh: "Mr. Riaz, you should have shown little patience in understanding Mr. Trump. Below links will help you in understanding Mr. Trump. One thing is sure, he is going to very hard or illegal immigrants and Terrorists"
In just the first two months of the year, at least four mosques have gone up in flames as attacks against religious minorities have surged. Those fires follow "the worst year on record for incidents in which mosques were targets of bias," according to the Council of American-Islamic Relations. CAIR documented 139 incidents of "damage/destruction/vandalism" at mosques last year -- the most since record-keeping began in 2009. It does not track fires separately. "Islamophobic bias continues its trend toward increasing violence," said Corey Saylor, director of CAIR's Department to Monitor and Combat Islamophobia. The wave of hostility comes as President Donald Trump campaigned on -- then enacted -- a temporary ban on travelers from Muslim-majority countries entering the United States. He is said to be drafting a new version after the first was struck down in court. The Islamic Center of Lake Travis hadn't even been completed yet when it mysteriously caught fire. A fire that torched the Islamic Center of Eastside near Seattle was an act of arson, Bellevue Police Chief Steve Mylett said. No one was inside the mosque at the time of the blaze, which firefighters said shot 40-foot flames into the sky. The fire that destroyed the Victoria Islamic Center mosque was intentionally set, the Houston office of the Bureau of Alcohol, Firearms, Tobacco and Explosives said. The ATF, CrimeStoppers and the mosque are offering a combined $30,000 reward for information leading to the arrest and indictment of whoever set the mosque on fire. While members of the mosque grappled with their loss, leaders of a local Jewish congregation stepped in to help -- and gave them the keys to their synagogue so they could continue to worship. A fire that damaged the Islamic Society of New Tampa has been ruled arson, Hillsborough County fire investigators said. Authorities have not ruled whether the fire was a hate crime, but Tampa Mayor Bob Buckhorn said the attack "is no different than the wave of anti-Semitic attacks on Jewish community centers and synagogue and bomb threats that have been called in all across the country, including in Tampa over the recent months." For more than a decade, the Pakistani tribal area of North Waziristan has been the deadly epicentre of global terror. This mountainous area on the remote Afghan border was the secure base from which Taliban and Al Qaeda warlords launched attacks across the world. Many have been aimed at Britain. For example, it was from here that Rashid Rauf (the Al Qaeda terrorist who at the time was described as ‘one of the world’s most wanted’) masterminded the 7/7 London bombings in 2005 which killed 52 and injured more than 770 people. Rauf — born in Pakistan but radicalised by a sect in Birmingham in his late teens after moving to Britain in the early Eighties — was also suspected of being the ringleader of a foiled plot to detonate liquid explosives on a transatlantic plane in 2006, which a senior British policeman said would have caused ‘mass murder on an unimaginable scale’. I have travelled regularly to Pakistan ever since the darkest days of the country’s descent into terror. At times, the country seemed on the verge of collapse. Indeed, at one point it was regarded by global intelligence agencies, including Britain’s MI6, as the most dangerous state in the world. This week, I was the first Western journalist in many years to travel to the North Waziristan capital, Miranshah. Until recently, it was from these streets that Taliban commanders ordered public beheadings and Al Qaeda chiefs groomed innocent children as young as ten to be suicide bombers. It seemed unimaginable back then that Al Qaeda and the Taliban would be driven out of Pakistan’s tribal territories. Yet the Pakistan army now claims that every last Taliban fighter has been expelled. It is nothing short of miraculous that Pakistan survived after so many atrocities and disasters. This, then, is a story of optimism; of how the men of terror can be taken on and defeated. After a sustained assault, Pakistani troops managed to take control of Miranshah. The terrorists fled — but left a scene of heartbreaking devastation. Entire streets were reduced to rubble. The city’s ancient market, once home to more than 600 shops, was flattened. The blight of terrorism in the area dates back to 9/11 in 2001, and the subsequent invasion of Afghanistan by the Western allies in revenge for the attacks on America. In order to escape pursuing British and U.S. troops, Taliban and Al Qaeda forces, including the latter group’s leader Osama Bin Laden, fled from their traditional strongholds in Afghanistan into the tribal areas of Pakistan. They were safe here under the protection of local tribes, many of whom had strong links to Afghanistan. In due course, the Taliban used their new bases in Waziristan to attack British and American forces in Afghanistan. Thousands of foreign fighters, including British Jihadis such as Rashid Rauf, who had been a student at Portsmouth University and had worked for a bakery in Birmingham, flocked to join them. The Pakistan army was duly placed under huge pressure from the West to attack the Taliban in these tribal hideouts. After protracted battles, the Pakistan military finally managed to clear the region of its last terrorist stronghold. But not before the Taliban had launched numerous reprisal attacks inside Pakistan itself, engulfing the country in a bloody civil war that claimed tens of thousands of lives. The Trump administration on Friday temporarily suspended the expedited premium processing of H1B visas as part of its squeeze on what it said is an overloaded guest worker program. The suspension came even as New Delhi pressed, without success, for a fair and rational approach on the matter from a trade and business perspective. By paying an additional $1,225 premium, companies can have an H-1B application processed within 15 days, whereas a standard process takes three to six month .. But even as the Indian officials said their "forceful presentation" to Congress and the administration over the past three days "has been met with a degree of understanding,'' the US Citizenship and Immigration Services (USCIS) brought the axe down on the expedited processing system which many Indian and American companies use to facilitate the entry, and sometimes rotation, of tens of thousands of skilled professionals for project work in the US By paying an additional $1225 premium, companies .. Fear, hurt and disbelief weighed on the minds of those who gathered at a Sikh temple Sunday after the shooting of a Sikh man who said a gunman approached him in his suburban Seattle driveway and told him, "Go back to your own country." "Everybody who is part of this community needs to be vigilant," Satwinder Kaur, a Sikh community leader, said as several hundred people poured into a temple in Renton about a mile from Friday night's shooting for worship services. "It is scary," she added. "The community has been shaken up." Authorities said a gunman approached the Sikh man, 39, and shot him in the arm as he worked on his car in his driveway in Kent, city of about 125,000 people some 20 miles south of Seattle. The FBI will help investigate the shooting, authorities said. Kent Police Chief Ken Thomas said his department is investigating the shooting as a hate crime. He said that no arrests have been made yet but that he did not believe anyone was in imminent danger. "This is a top priority investigation, and we are doing everything possible to identify and arrest the suspect," Thomas said in an email, adding that residents should "be vigilant" but not let the shooting hurt their quality of life. The FBI's Seattle office said in a statement Sunday that it is "committed to investigating crimes that are potentially hate motivated," The Seattle Times reported. The shooting comes after an Indian man was killed and another wounded in a recent shooting at a Kansas bar that federal agencies are investigating as a hate crime after witnesses say the suspect yelled, "Get out of my country." Friday night's shooting was on the minds of many who gathered at a Sikh temple in Renton on Sunday morning. Women in colorful saris and headscarves and men wearing turbans sat on the floor on opposite sides inside the worship space. As they entered and left the services, many expressed fear that one of their own was targeted and said they're scared to go to stores and other public places. Some said they have noticed an uptick in name-calling and other racist incidents in recent months. Still others expressed hurt and disbelief at the lack of understanding and ignorance. "Sikhism teaches about equality and peace," said Sandeep Singh, 24. "It's sad to see that's what it has come to," he said of the violence. "This is our country. This is everyone's country." Gurjot Singh, 39, who served in the Marine Corps and is an Iraq War veteran, said he was dismayed that people think others who look different aren't equal or don't contribute equally to the community. "This is equally my country as it is your country," he said. "It doesn't anger me. It hurts me." Hira Singh, a Sikh community leader, said there have been increasing complaints recently from Sikhs near Seattle who say they have been the target of foul language or other comments. "This kind of incident shakes up the whole community," he said, adding that about 50,000 members of the faith live in Washington state. Kent Councilwoman Brenda Fincher went to the temple Sunday to show support for the community. "When a hate crime happens, we have to stand up and make sure everyone knows it's not acceptable," she said. Kent police have not identified the man or released other information. But India's foreign minister, Sushma Swaraj, identified the victim on Twitter early Sunday, saying, "I am sorry to know about the attack on Deep Rai, a U.S. national of Indian origin." Barely two weeks after an Indian engineer became victim of hate crime in Kansas in the US, another NRI businessman of Gujarati origin has been shot dead in Lancaster in South Carolina. Harnish Patel, who ran Speedee Mart in Lancaster had closed his shop on Thursday, and was close to his house when an unidentified assailant opened fire at him, killing him on the spot. Harnish, 43, who originally hails from Avakhal village in Sinor taluka of Vadodara district had been living in the US with his family for over 14 years. Patel’s killing comes just two days after US President Donald Trump condemned the killing of Indian engineer Srinivas Kuchibhotla in a pub in Kansas. According to reports, officials of Lancaster police say that they are yet to ascertain a motive behind Harnish’s killing, which appears to be ‘racially motivated’. On the same day that the White House announced President Donald Trump’s revised travel ban on residents of six majority-Muslim nations, Gold Star father and Muslim-American Khizr Khan confirmed that his “traveling privileges” were under review and that his “freedom to travel abroad” had been temporarily suspended. Khan, a Pakistani-born naturalized U.S. citizen of more than 30 years, was set to speak “about tolerance, understanding, unity, and the rule of law” at a luncheon in Toronto on Tuesday. The two-hour event was slated to include a question-and-answer session on “what we can do about the appalling turn of events in Washington — so that we don’t all end up sacrificing everything,” according to the organizer. On Sunday, however, Khan was informed that he would be unable to travel to Canada, CTV’s Rosa Hwang first reported. According to Ramsay Talks, the organization that had planned Khan’s talk, the Harvard-educated lawyer’s “travel privileges are being reviewed.” It is unclear what review or revocation of “travel privileges” Khan would be subject to given his status as a U.S. citizen: Anyone with a valid U.S. passport should be able to enter and leave the U.S. It is also not clear who is reviewing those privileges, as Canadian officials have not returned a request for comment. Pakistan is not one of the six nations whose citizens are temporarily prohibited from travel into the U.S. under Trump’s revised ban — which isn’t scheduled to go into effect until March 16. In addition, Ramsay Talks said Khan offered his “sincere apologies” to those who had planned to attend the event, in a statement posted on Facebook. The group also offered to refund the fees for those who had already paid to attend the event. At least one other Canadian organization, the Canadian Broadcasting Corporation, has confirmed that Khan’s planned trip to Canada has been canceled. "Will Durrant mentions 80 million Hindus were killed by muslim invaders. And I am sure Islam's bloody conquest in other parts of the world should have equally impressive numbers.﻿"
Just wondering how many low cast Hindus were killed in last 5000 years by the upper cast. Indians need to grow out of their victim mentality and start taking responsibility for their own actions first. 400 million Hindus were killed by a few hundred thousand Muslims? Wow talk about imagination. Yogi Adityanath is a saffron-robed Hindu priest, a five-term member of India’s Parliament and has more than a dozen criminal cases pending against him, including an attempted murder charge. In incendiary speeches across the sprawling and impoverished Indian state of Uttar Pradesh, he has long advocated for Hindu ideals and even exhorted his followers to kill Muslims. On Saturday, in a surprise move, Prime Minister Narendra Modi’s Bharatiya Janata Party tapped him to lead Uttar Pradesh, which analysts see as a clear signal that Modi is building on his party’s recent win in the state’s elections and moving to consolidate his Hindu base in a run-up to the 2019 general election. In a front-page story Sunday, the Times of India called the selection of the “saffron hardliner” a “defiant assertion” of the party’s Hindu nationalist credentials. “By picking him to govern India’s largest state, Modi and Shah have sent a clear message that they will be bound by neither the norms of ‘politics as usual’ nor the requirements of political correctness,” the Times wrote. Adityanath, 44, has held sway in eastern Uttar Pradesh since he was first elected to Parliament at age 26, as a “sanyasi,” or devotee, of the Gorakhnath temple religious community. Known as a controversial and fiery orator, he has vowed to cleanse India of other religions and in 2014 suggested that mosques feature Hindu deities. “This is the century of Hindutva, not just in India but in the entire world,” he said. He was arrested in 2007 and spent 11 days in prison for violating prohibitory orders in what was deemed a “communally sensitive area,” with tensions between the Muslim and Hindu communities. He had 18 criminal cases registered against him, according to one tally during the 2014 parliamentary elections, including attempted murder, criminal intimidation and rioting. During rallies for state elections this winter, Adityanath’s supporters often chanted for Hindu-centric rule and demanded that Muslims leave the country. Adityanath also praised President Trump for his first travel ban on citizens from seven Muslim-majority countries and added that similar action is needed in India. Adityanath was credited with helping the BJP and its allies win 325 of Uttar Pradesh’s 403 assembly seats during the state’s recent elections. Uttar Pradesh, roughly the size of Brazil and with a population of more than 220 million people, has a history of Hindu-Muslim riots. In 2013, riots between the two groups resulted in the death of more than 60 people, with thousands displaced. Analysts said the state’s electorate will now look to Adityanath to deliver on the party’s campaign promises, including the banning of cow slaughterhouses and the building of a temple on a mosque site that has been the subject of a decades-long controversy. he world breathed a sigh of relief last week as the Islamophobe populist Geert Wilders failed to become the head of the biggest party in Holland. The respite from elected bigotry did not last long. On Sunday an even more stridently anti-Muslim extremist took power in the biggest election of this year. Uttar Pradesh, with a population of more than 200 million, is not an independent nation. It is India’s biggest and most important state. UP, as it is known, by itself would be the world’s fourth biggest democracy – behind the rest of India, the United States, and Indonesia. In a stunning victory, the ruling Bharatiya Janata party swept the state elections, winning, along with its allies, 80% of the seats. Elections here are the most significant in India. UP sends 80 MPs to India’s national parliament of 545 seats. Regardless of party, they pay careful attention to the mood of UP’s electorate. If the nation’s governing parties do well in UP, parliamentarians feel they ought to stay in line. If opposition parties do well in UP, then gridlock rules in Delhi. The man chosen by the Indian prime minister, Narendra Modi, to lead UP, home of Hinduism’s holy Ganges river and the Moghul tomb of Taj Mahal, is a fellow Hindu nationalist, Yogi Adityanath. Mr Adityanath is a Hindu priest who, while elected five times from his temple’s town, has been shown repeatedly to be contemptuous of democratic norms. He has been accused of attempted murder, criminal intimidation and rioting. He says young Muslim men had launched a “love jihad” to entrap and convert Hindu women. Mother Teresa, he claimed, wanted to Christianise India. He backs a Donald Trump-style travel ban to stop “terrorists” coming to India. On the campaign trail, Mr Adityanath warned: “If [Muslims] kill one Hindu man, then we will kill 100 Muslim men”. This cannot be dismissed as mere rhetoric. The argument that once in power the BJP would become more reasonable does not wash. There’s little sign India’s constitutional protections would enable the BJP to continue in power while the dynamics of its wider movement are kept in check. Mr Adityanath, now a powerful figure, is signalling that in India minorities exist merely on the goodwill of the majority. Step out of line and there will be blood. For some of India’s 140 million Muslims the threat is enough to see them debate withdrawing from public life to avoid further polarisation. #Bannon said he learned to fear #Muslims when he visited #Karachi. Except he was probably in #HongKong. https://interc.pt/2uw1wSz by @maassp IF YOU ASK Steve Bannon how he got the idea that Muslims in the Middle East are a civilizational threat to America, he will say that his eyes were first opened when he served on a Navy destroyer in the Arabian Sea. At least that’s what he told the journalist Joshua Green, whose new book about President Donald Trump’s senior counselor is a best-seller. We’d pull into a place like Karachi, Pakistan – this is 1979, and I’ll never forget it – the British guys came on board, because they still ran the port. The city had 10 million people at the time. We’d get out there, and 8 million of them had to be below the age of fifteen. It was an eye-opener. We’d been other places like the Philippines where there was mass poverty. But it was nothing like the Middle East. It was just a complete eye-opener. It was the other end of the earth. That’s Bannon’s version. There are a few problems with it, however. The port of Karachi was not run by the British in 1979. Karachi, which is the commercial hub of Pakistan, had a population that was well short of 10 million (it was about half that) and is not usually considered part of the Middle East. But the biggest problem is that the destroyer Bannon served on, the USS Paul F. Foster, never visited Karachi while Bannon was aboard. Six sailors who served on the Foster with Bannon told The Intercept that the vessel did not stop at Karachi during its 1979-1980 deployment. The recollections of these enlisted men and officers are supported by the ship’s deck logs, which show no stop on the way to the Arabian Sea and are available to the public at the National Archives. And a map of the Foster’s port calls that was published in its “cruisebook” shows stops in Hawaii, Guam, the Philippines, Christmas Island, Hong Kong, and Singapore — but not Karachi. It turns out that Bannon, who has drawn a large amount of criticism for his exclusionary stances on race, religion, and immigration, has also inaccurately described his military service, simultaneously creating an erroneous narrative of how he came to an incendiary anti-Muslim worldview that helps shape White House policy. It’s not clear whether Bannon’s account of visiting Karachi is an intentional fabrication or a false memory that reflects his subconscious fears, or something else entirely. Whatever the reason, it raises a lot of questions. Bannon did not respond to several inquiries from The Intercept. A close friend of Bannon’s who is in regular contact with him, and spoke on the condition of not being named, said Bannon had not read Green’s book and that the quotes attributed to him had not been checked with him. Green, the author, told The Intercept that the interview with Bannon occurred in 2015 and was recorded and transcribed. The news of Bannon’s problematic narrative comes at a delicate time for the former executive chairman of Breitbart News, which under his leadership produced incessant streams of anti-immigrant and anti-Muslim stories. Bannon’s Navy service has always been deeply relevant to his work at the White House because it has been used as a reason for giving him influence on military affairs that his critics believe he does not merit. Bannon reportedly has a tense relationship with the retired generals who occupy key positions in the Trump administration – Chief of Staff John Kelly, Defense Secretary James Mattis, and particularly National Security Adviser H.R. McMaster. Earlier this month, the Washington Post reported that McMaster has been waging a campaign to cleanse the National Security Council of Bannon’s allies, and that the two men have argued about Afghanistan policy. An Indian American entrepreneur and his friends were subjected to hate-filled invective Feb. 3 evening in Seattle, Washington, while waiting in line to get a pizza. Aditya Sastry, founder and digital strategist at Inflect Solutions, was with his friend Joey Velez and Tom Krajnak in Seattle’s trendy Capitol Hill area. “Something about us caught her attention and she began a racist, xenophobic rant followed by threats and assault,” said Sastry in a Facebook post which was shared by more than 3,600 people. “We’ve both faced racist incidents before, but this is the second time this year I’ve been accosted by white Americans claiming this country is theirs. Both these incidents occurred in the sanctuary cities of Boston and Seattle,” he wrote. When Velez responded that he was American, the woman told him to “f***king act like one,” as seen in the video. The two-minute video abruptly ended as the woman spied Sastry recording her and snatched the phone from his hand and smashed it. The young man was able to retrieve his shattered phone. The confrontation continued, even after the woman had smashed the phone, reported Sastry in his Facebook post. He noted that the expletives were directed at himself, Velez, and an African American woman standing next to them. In an update, Sastry wrote that a suspect has been identified, due to the large number of witnesses who came forward.